Joseph Carrabis is Founder and CRO of The NextStage Companies (NextStage Evolution, NextStage Global and NextStage Analytics), companies that specialize in helping clients improve their marketing efforts and understand customer behavior. You can reach NextStage Evolution at 603 791 4925 or via info(at)nextstagevolution(dot)com. Carrabis has authored 25 books (most recently Reading Virtual Minds Volume I: Science and History) and over 500 articles in five areas of expertise. His books have covered cultural anthropology, database technology and methods, information mechanics, language acquisition, learning and education theory, mathematics, social network topologies, and psycholinguistic modeling. 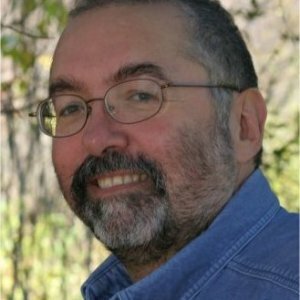 His articles have covered computer technology, cultural-knowledge modeling, equine management, knowledge studies and applications, library science, martial arts, myth and folklore, neurolinguistic, psychodynamic and psychosocial modeling, group and tribal behavior, and social interactions in NYC and more. His writings are available at AllBusiness.com, An Economy of Meanings, BizMediaScience, iMediaConnections, Stating the Obvious, That Think You Do, TheAnalyticsEcology and Triquatrotritecale. Carrabis is a Senior Research Fellow at USC Annenberg's Center for the Digital Future, Senior Research Fellow and Board Advisory Member for the Society for New Communications Research, a Founder, Senior Researcher and Director of Predictive Analytics for the Center for Adaptive Solutions and a member of Scientists Without Borders. He was selected as an International Ambassador for Psychological Science in 2010 specializing in trauma and AIDS therapies. Carrabis was awarded patents for NextStage's Evolution Technology, creating a new field of technology and applications. Evolution Technology allows any programmable device to understand human thought and respond accordingly. Go to http://www.linkedin.com/in/josephcarrabis. Most of this stuff is there. This is NextStage's full Chicago TMRE 2011 presentation. There are take-aways, an history and definition of neuromarketing done as only NextStage can do it. Total run time is 30 minutes. Intro, Barnes&Noble part 1, Search is the Last Bastion of Poor Design, about 8.5 minutes runtime. This is NextStage's full AMA Boston presentation. There are take-aways, an explanation of neuromarketing and how it comes about done as only NextStage can do it. Total run time is 7 1/2 minutes.